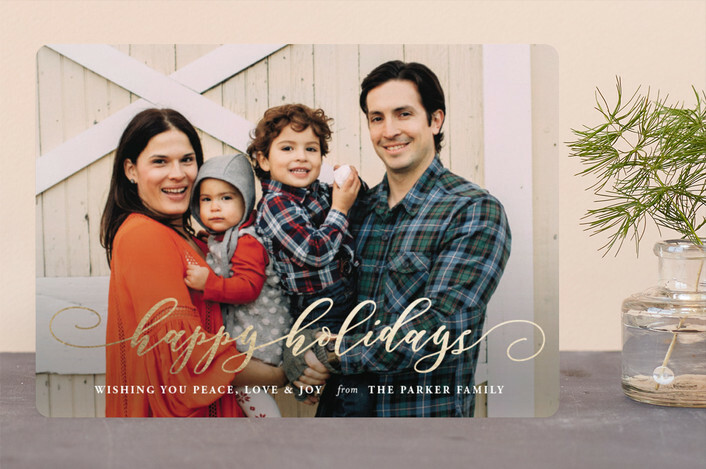 It's a Pink Life: Holiday cards made easy with Minted! crème de la crème of personalized invitations and stationery. 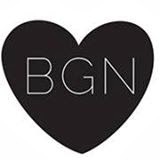 Aside from that they also have home decor, art, gifts, and more! I recently had the opportunity to try Minted.com for the first time and I am impressed! It's been several years since we've sent out Holiday photo cards and I didn't want to miss that boat again this year. We normally take our own family pictures, but this year we had our family pictures taken by the vary talented fine art portraiture photographer Caitlyn Bom. 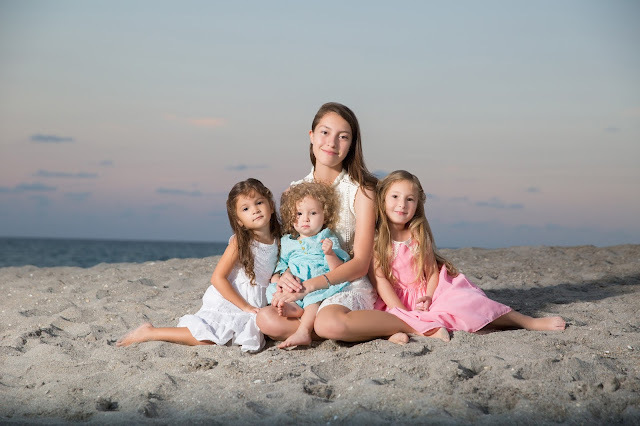 We had our pictures taken by the beach earlier this year and have a few of the shots hanging in our house. We absolutely wanted to share a photo with our close friends and family so holiday cards are going out for sure. Minted.com has really just thought about everything in the ordering process. Not only is it easy to filter the cards based on your photos, price, or printing, there is also a wide variety of customization once you select the card. From suggestions to adding postage to complimenting your design or adding recipient addressing, they've thought of it all! Having numerous birthday parties year round with 4 children, I've used a few different photo card services and I have to say Minted.com is by far the easiest and most user friendly experience I've ever had. The ordering process was so fast and simple. The part that took the longest was just picking a card. It was really hard to choose because they are all so beautiful! The cards came with free envelopes and you can choose from several color accompanying linings such as gold, glitter gold, silver foil at an additional cost. You can also easily move your personalized text around and pick different fonts. I'm just really impressed by Minted. They were kind enough to offer me a chance to shop around and one of the things I selected were holiday cards. I went with a simple holiday foil pressed card. I'm completely addicted to foil gold, shiny gold. Anything gold! I debated between uploading a picture of just the girls, or all of us. I settled on just the girls. Our families would have loved either one for sure, but there's something so sweet about just seeing children on cards. It really is the secret ingredient in holiday cards. Getting your children to pose for a family picture is not always that simple. In fact sometimes they act completely silly and you just have to roll with it. 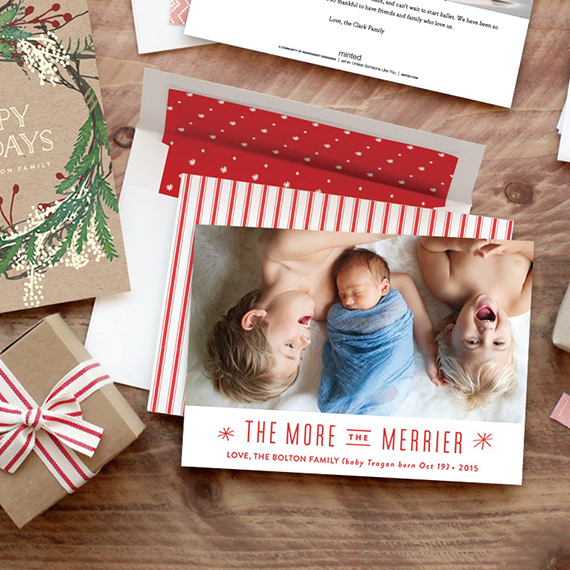 Check out Minted's article for a creating a great funny kid holiday card here. I can't wait to get my cards in! Once I do I'll be sure to share them in a separate post. Have a great weekend! Thank you Minted for sponsoring this post. All wording, and opinions are my own.